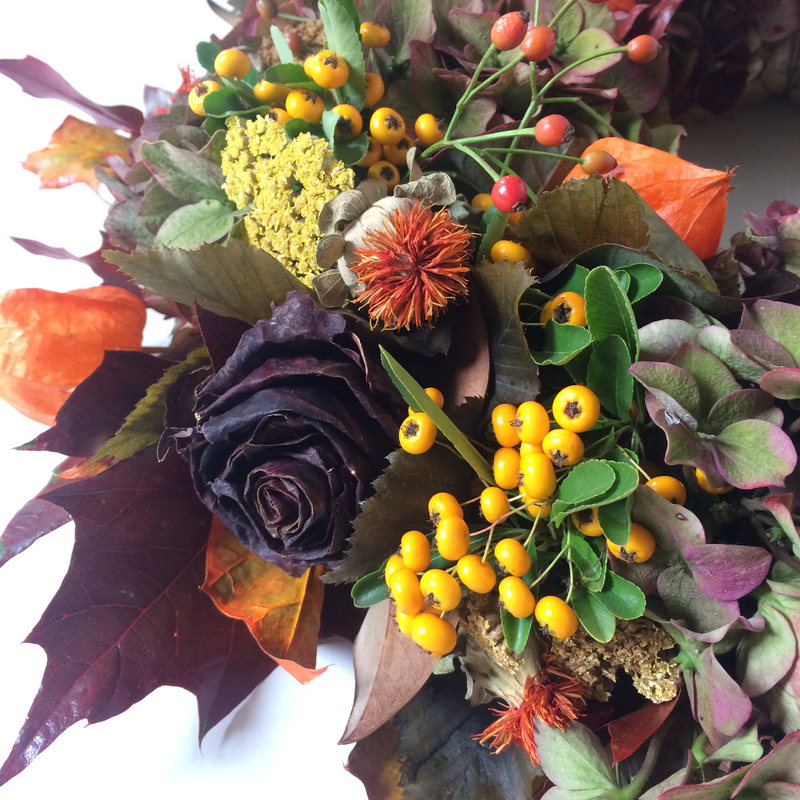 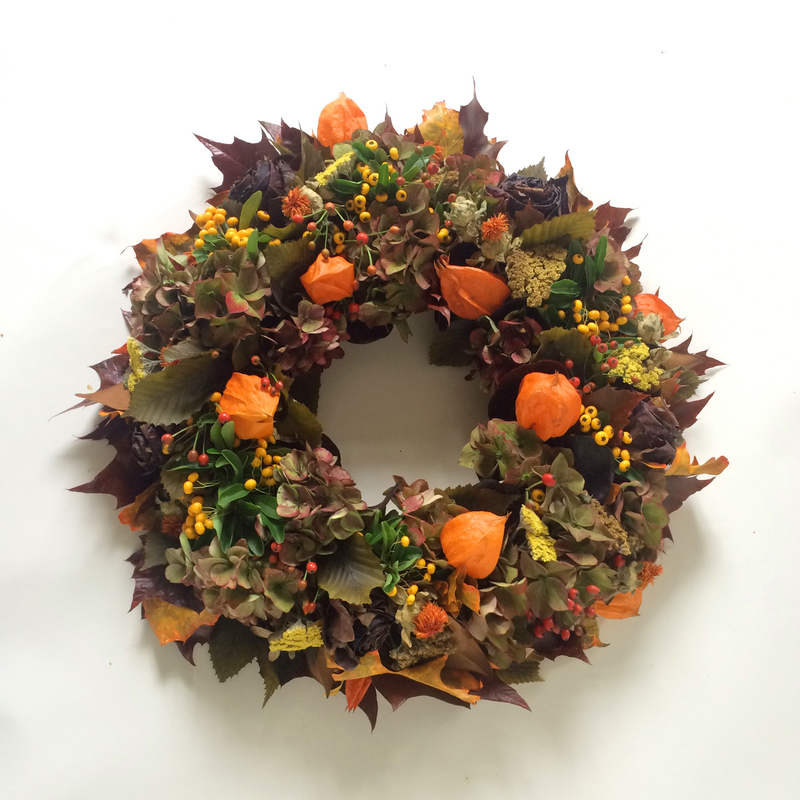 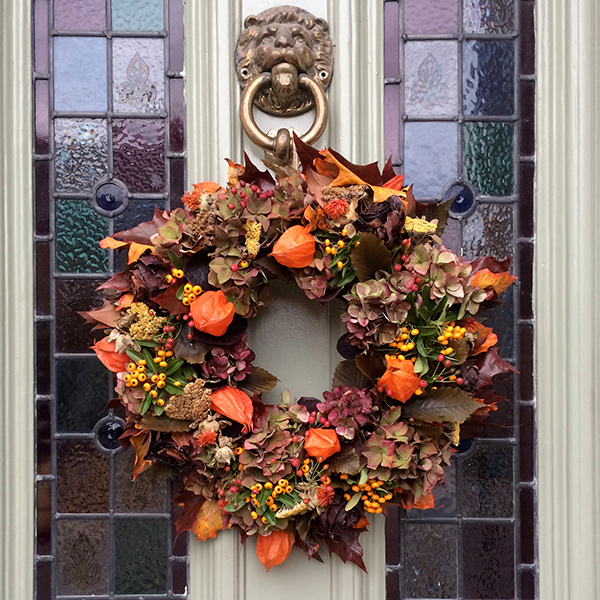 An autumn wreath made out of dried flowers and foliage with Hydrangea, Achillea, Rose hips, Berries, Maple-leaf roses, Thistles and Oak and Beach leaves in rich autumnal colours. 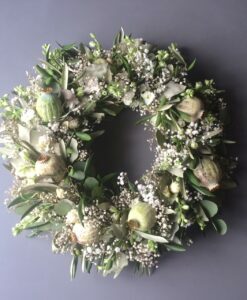 This wreath will last for several months and looks great on your front door, garden table or as a long lasting tribute to your loved one. 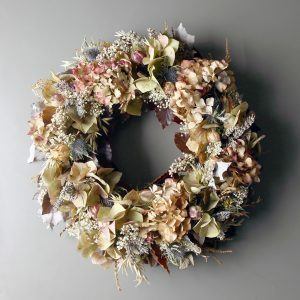 The pastel variation has more muted tones and includes fragrant Lavender, Astilbe, Thistle, Hydrangea and gypsophelia. 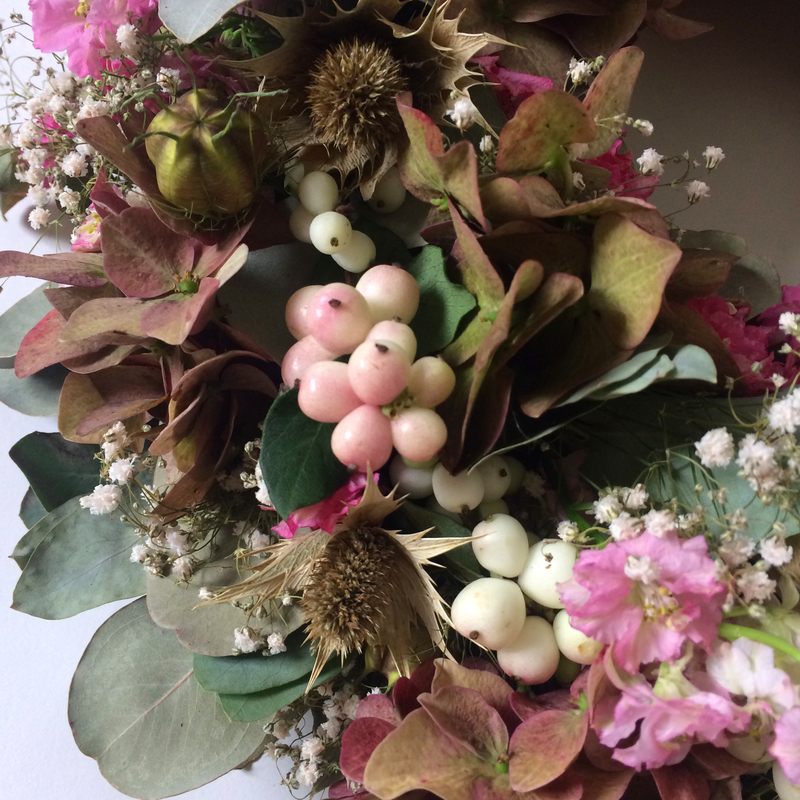 Rosehips, Physalis (Chinese Lanerns) and lots of other dried flowers and foliage. 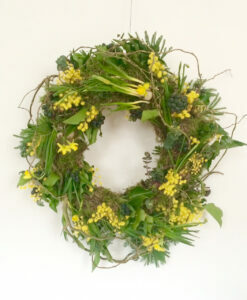 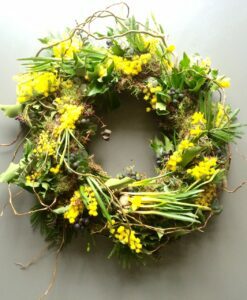 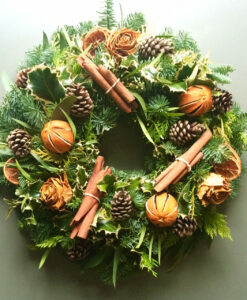 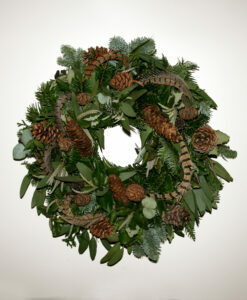 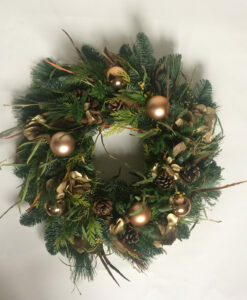 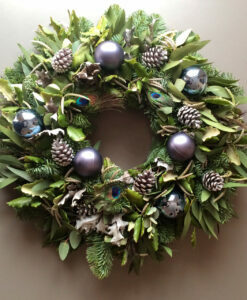 The wreath will last at least 6-8weeks if hung in a dry and secluded spot.